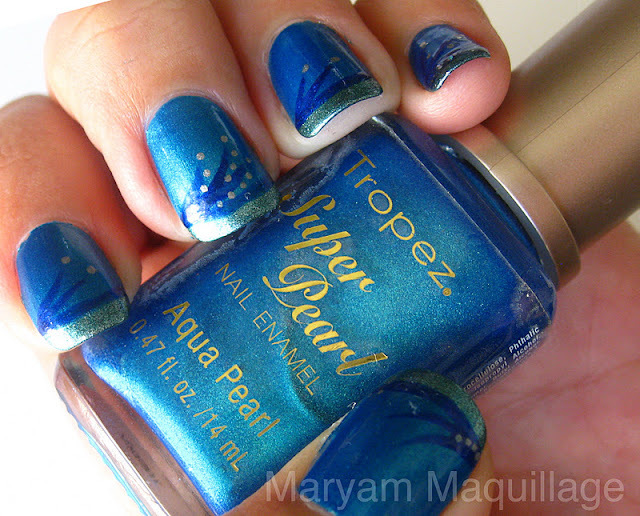 Tropez Super Pearl Nail Enamel in Aqua Pearl. I purchased this one next to the Milani section at a Duane Reade or another pharmacy of the sort. 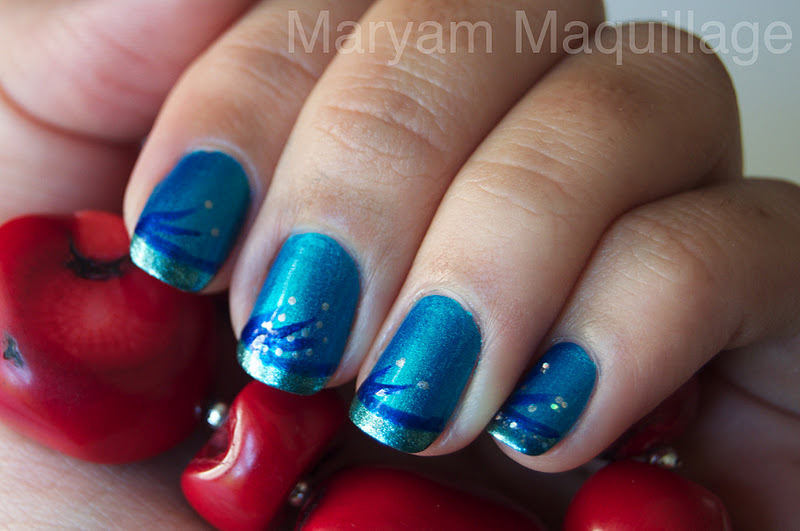 Sinful Colors limited edition Nail Art polish in Lagoon used to draw the "seaweed". Sally Hansen Nail Art Pen in Silver used for the dots. 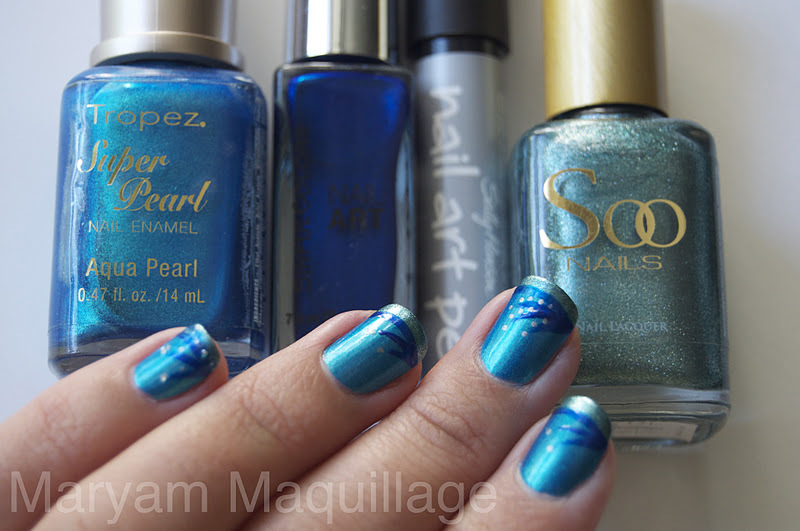 Soo Nails nail lacquer in #s121 used for the tip. Surprisingly dainty for my "other hand"
Very pretty. I like that it is sort of subtle but is such great nail art. 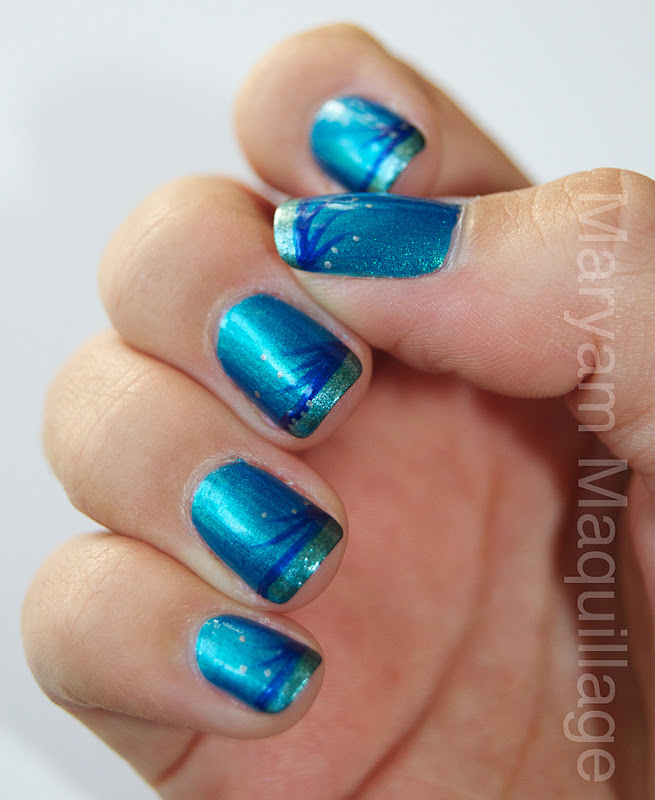 Amazing <3 You do nails like a pro! Love your blog :) New follower here! Very cute! 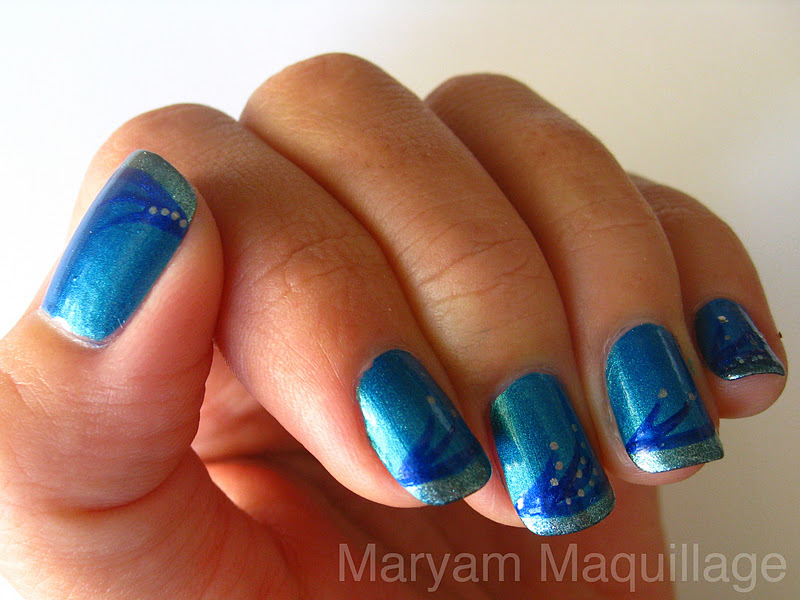 ^__^ Reminds me of Summer and the glittery tips are really pretty. Adorable nail art!! I like your style! your nails look so THIN! whenever I do my nails they always look like they have so many layers schlepped onto it. What nailpolish do you use? really like the final effect! Thanks beautiful! It's been hectic with school lately aka why I've been taking so long to respond! =( But how are you doing? Looking great as usual! That nailpolish design is super snazzy. My nails are looking gross and thin after having acrylics on -___- . I miss my beautiful nails. Now I can't even polish it because I need to let it grow out again. Anyways, stay beautiful . Gorgeous! 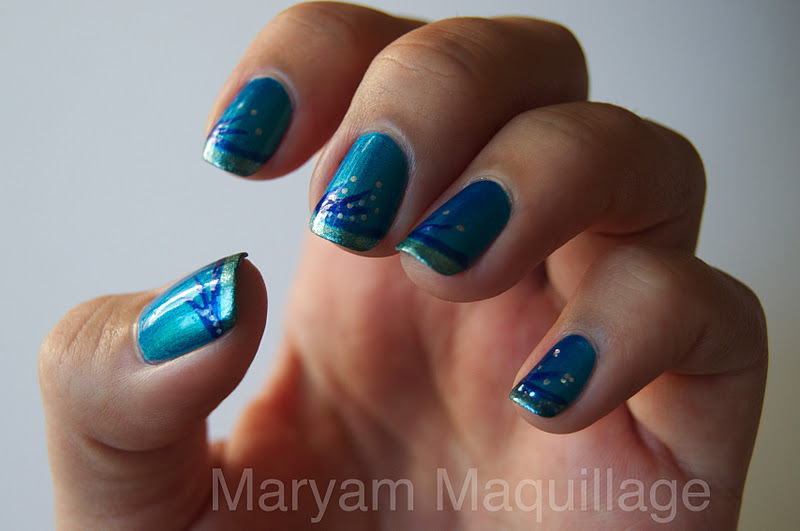 I love the mixture of oceanic blues and greens! you are so talented! i wish i had nail art talent, yup, i'm jealous!